Thank you very much for considering to print some of my images! The printing process is made simple since ordering and payment can be arranged directly through this site just by selecting "BUY PHOTO". The printer is BayPhoto, a professional photo lab out of San Francisco, that does excellent work! 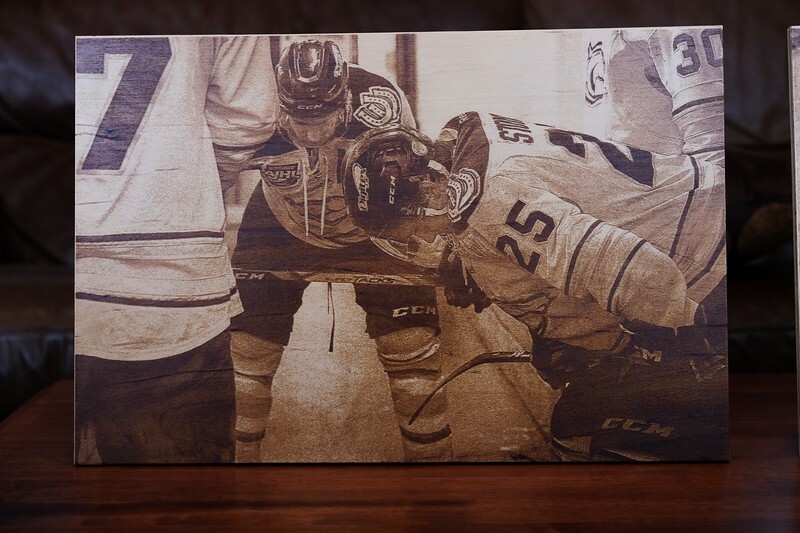 Another option we provide is to have your image laser etched onto wood! Grizzly Engraving out of DeWinton, AB provides this service and your satisfaction is his top priority. I have included an example below. If you are interested in a Wood Engraved reproduction, contact me directly and we can set it up! Thanks again for your interest and we wish you a great day!